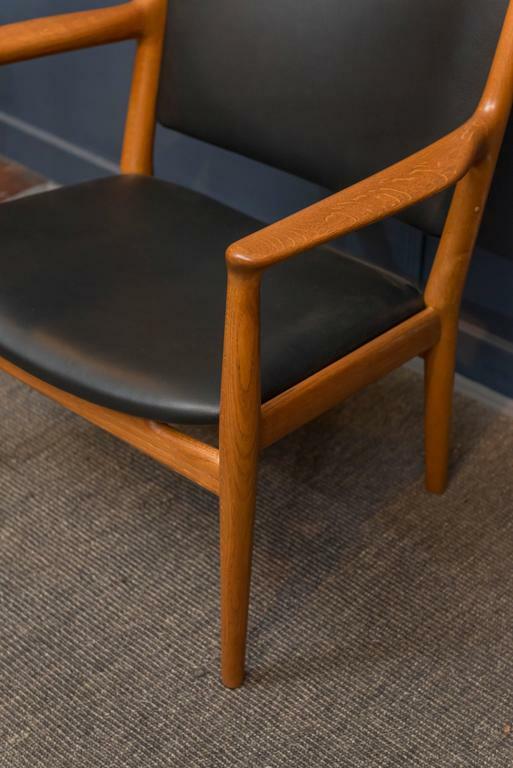 Hans J Wegner design oak and teak lounge chair model JH-713 for Johannes Hansen, Denmark. Simple elegance combined with high quality construction and restorations make for the perfect robust lounge chair. New leather upholstery, labeled. 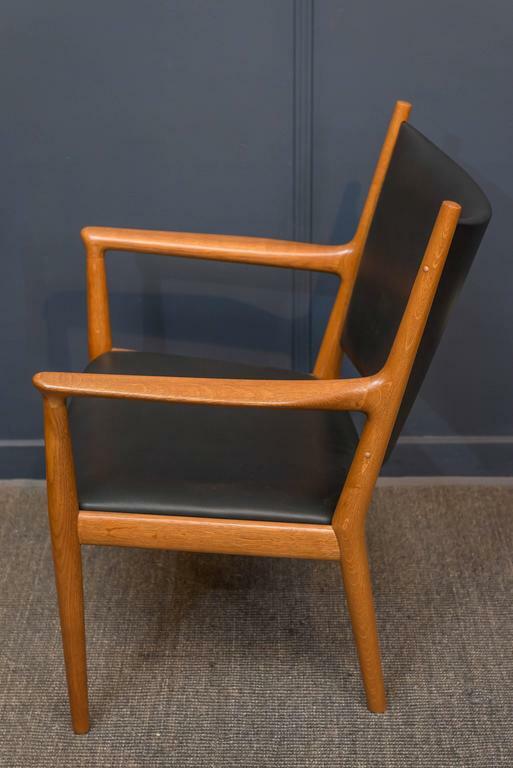 Hans Wegner lounge chair for GETAMA, Model GE 290. Oak frame with original wire cushion frames, labeled. 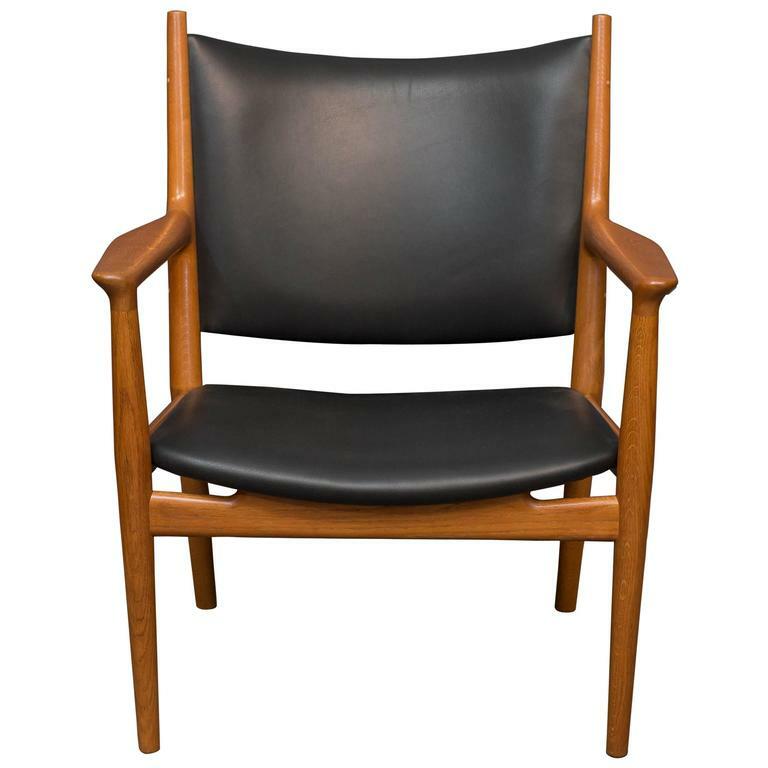 Hans Wegner design teak and oak lounge chair, model CH-22 for Carl Hanson & Son, Denmark. Excellent structural condition with original finish and a new woven seat. 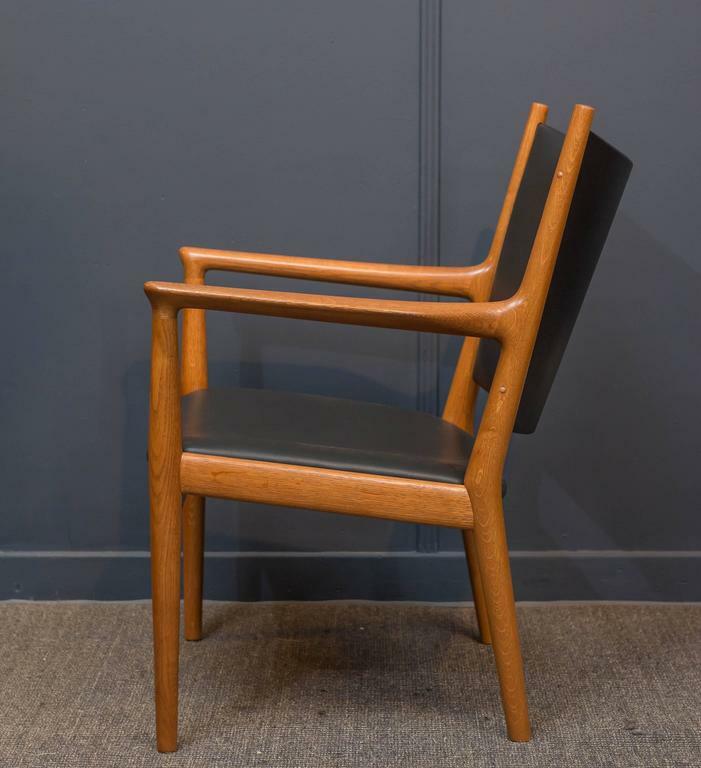 Hans Wegner Papa Bear chair for AP Stolen, Denmark. 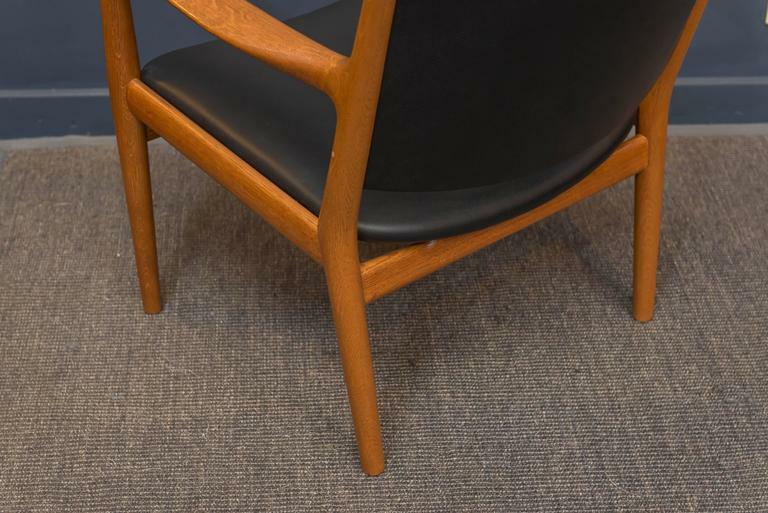 Perfectly refinished teak arm pads and legs with new light grey wool upholstery. 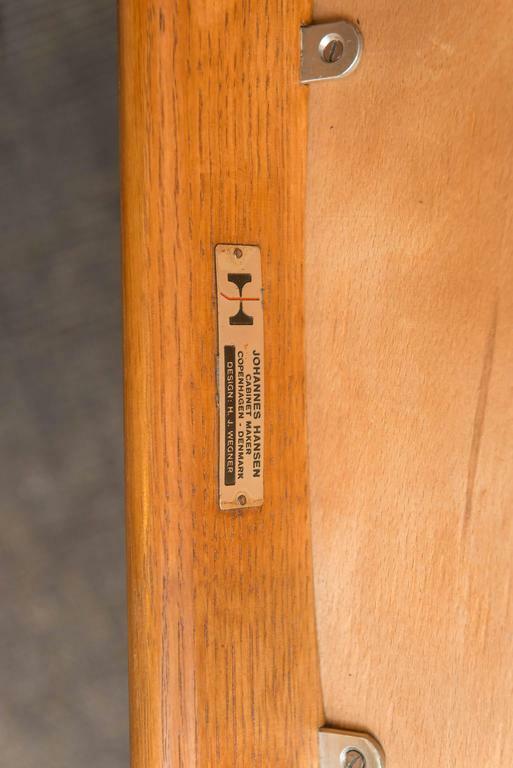 Original Hans Wegner design "Easy Chair" model CH22 for Carl Hanson & Son, Denmark. Excellent condition and ready to enjoy. 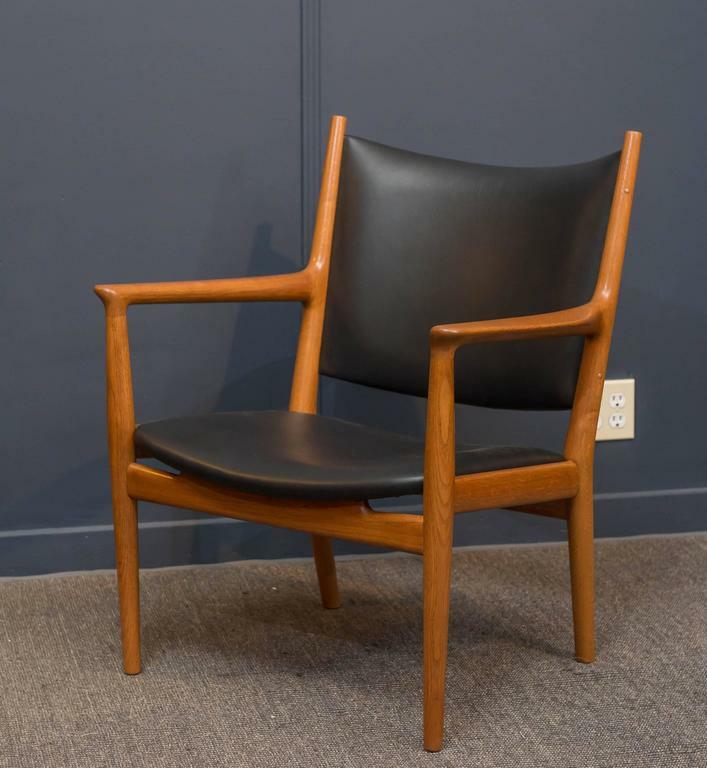 Great pair on Danish modern in white oak with gray fabric by Hans Wegner. 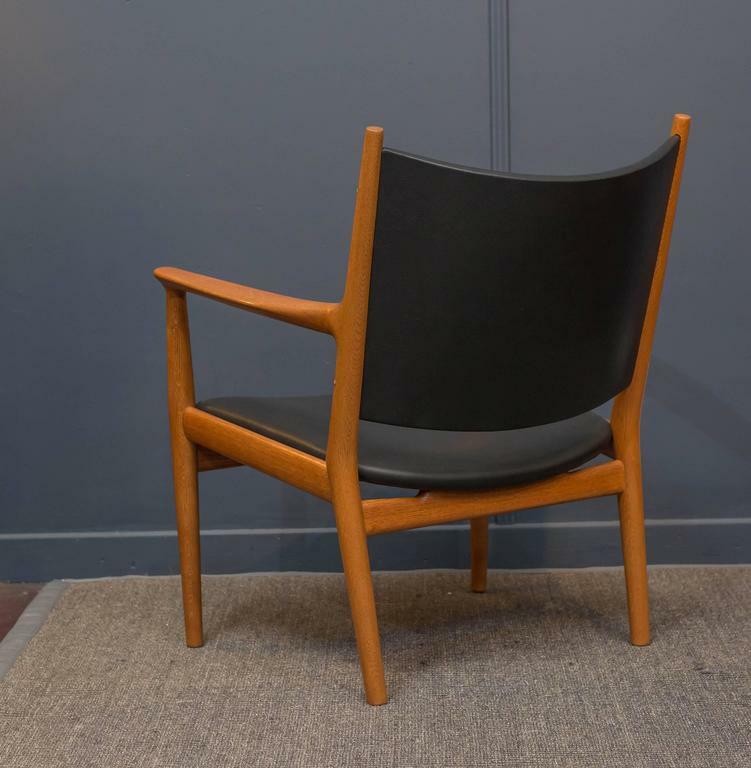 Hans Wegner GE-270 chair, 1956. Produced by Getama, Gedsted, Denmark. Teak frame with exposed brass fittings. New cushions covered in Kvadrat Hallingdal #130 wool fabric.